We have example code for preforming the most common tasks available through our code repository. These are a quick way to familiarize yourself with how the SDK can be used. Demonstrates how to include map into an app. 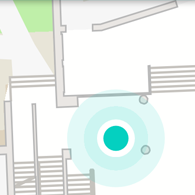 How to enable indoor positioning into your app. Route from users current location to a point of interest or an arbitary location. The full api is accessible for apps written in both Swift and objective-c.
Steerpath provides indoor positioning and navigation technology to mobile applications. 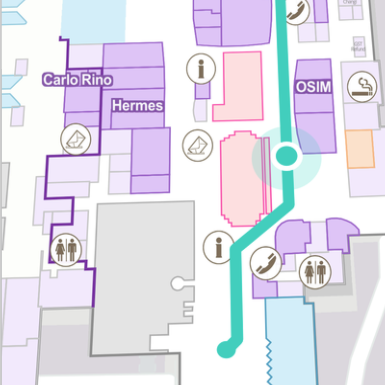 The easy to integrate indoor positioning and wayfinding system allows customers to add value to their applications through the use of guidance, search and contextually relevant information. Leveraging readily available bluetooth beacon technology and being capable of operating offline, accurate indoor positioning and navigation can now be brought to any environment.